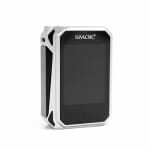 Sorry, SMOK G-Priv 220W Mod has been discontinued. 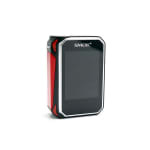 Smok G-Priv is the latest release by Smok. The Smok G-Priv is a 220W dual 18650 battery mod with a massive 2.4 inch OLED touch screen display. 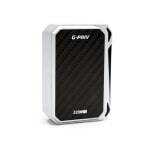 The G-Priv is built with zinc alloy which makes the mod very lightweight and portable. This mod features a very comprehensive temperature control mode supporting Nickel, Titanium and Stainless Steel with a minimum accepted resistance of 0.1ohm. 18650 batteries NOT INCLUDED, you can buy 18650 batteries here. You can also get the TFV8 Baby Beast here for an ideal pairing with the G-Priv. 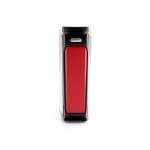 The design of the mod is sleek with a carbon fiber finish on the back panel, and the 2.4 inch shatter-resistant and shockproof display on the other side, a standard 510 thread connection at the top, and three temperature cooling air vents at the bottom of the mod. 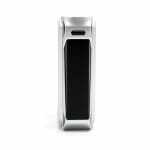 Smok is known to always provide firmware updates for their device and the G-Priv is not an exception. Firmware updates can be applied using the micro usb to connect your mod to a computer. With bluetooth 4.0 compatibility the G-Priv allows you to set or read the status of your mod using the Smok OTA (Over-The-Air) app from your smartphone. This product includes only the mod. 18650 batteries NOT INCLUDED, you can buy 18650 batteries here. You can also get the TFV8 Baby Beast here for an ideal pairing with the G-Priv.